Civil Wars: In the spring of 1648, Colonel Thomas Horton defeated the Royalists in the Battle of Fagans. The Royalists suffered another loss when they were defeated by Sir Thomas Fairfax’s army in the Battle of Maidstone. In the North as well, the Royalists were facing defeats caused by Major-General John Lambert. The Second English Civil war was fought between 1648-1649. In 1487, Charles had signed an agreement with the Scots. This agreement was known as the ‘Engagement’ and as per this treaty; the Scots would attack England on Charles’ behalf and restore to him his lost throne. This invasion took place in the summer of 1648. 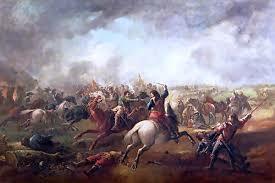 The Parliamentarians fought the Scots under the guidance of Cromwell at the Battle of Preston. Most of the war was fought at Walton-le-Dale near Preston. The Parliamentarians were successful in defeating the Royalists and the Scots. 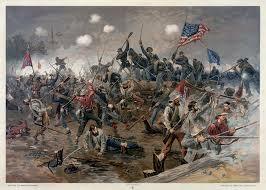 With the defeat of the Royalists, the Second Civil war came to an end. Charles-I was executed in 1649. 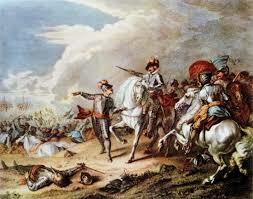 The Third English Civil war was fought from 1641-1651. In this war, Ireland and Scotland were also affected. 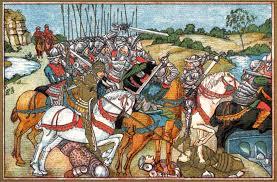 Ireland was witnessing war since the beginning of 1641 rebellion. The Irish Confederates felt threatened by Parliamentarian army and thus they signed a treaty of alliance with the Royalists. The Confederates and the Royalists suffered defeat at the Battle of Rathmines. The siege of Drogheda resulted in the death of many Irish people. Eventually, the Irish Confederate and the Royalist had to surrender. The Civil war in Scotland was affected by the death of Charles I. There was a war going on between Royalists and Covenanters from 1644. In Scotland, Charles II had formed an alliance with the Covenanter and he thus proved to be a great threat to the new English republic. To fight Charles II and his allies, Cromwell reached Scotland in 1650. He, however, had to retreat as disease and lack of supplies caused many casualties in his army. Despite this major shortage of men, Cromwell defeated the Scottish army led by David Leslie in the Battle of Dunbar. In 1651 again Cromwell defeated the Scots in the Battle of Inverkeithing. Despite his success in the battles fought the Scots, Cromwell’s New Model Army failed to prevent Charles II from marching into England as the Royalist army head. Cromwell defeated Charles at Worcester in 1651. After the battle, Charles escaped to France and the civil wars in England ended. The three wars had resulted in numerous people losing their lives. It is difficult to actually calculate the number of casualties but it is believed that around 100,000 have succumbed to war-related diseases. The wars also led to countries like England, Scotland, and Ireland to lose their monarchs. However, the monarchy on England was restored when Charles II returned from his exile in 1660. The power had shifted in the hands of the parliament and England along with Scotland adopted parliamentary monarchy form of government. One of the primary reasons that caused the wars was the personality of Charles I. He believed in the divine rights of the kings could never accept the notion that a king can do anything wrong. Charles had seen the kind of relation to his father, James shared with the Parliament. It was since then that he had thought that Parliament was wrong and during his tenure, he was known to argue with the Parliament on many matters. Charles did not allow the Parliament to meet for as long as eleven years. However, by 1642, Charles was forced to do what the Parliament said as they had the power to raise funds. The biggest blow in the relation between the Parliament and Charles was in 1642 when he sent soldiers to arrest five of the Parliamentarians. This act of Charles to arrest the members of Parliament is said to have triggered the civil wars.